You can "own" everything from VIP Records to Shoreline Village. Animation by Brian Addison. VIP Records. The Queen Mary. MOLAA. Jenni Rivera Memorial Park. These are just a few of the prime pieces of real estate one can imaginarily purchase in the Long Beach-Opoly game, a parody of the famed Monopoly board game by Late for the Sky Productions. Long Beach-Opoly, a parodic version of the classic board game Monopoly, is available for purchase. Photo courtesy of Walmart. Since Schulte or his crew of 45 workers often don’t have the ability to travel to each city a game is created for, employees often depend on a variety of sources to assure the research is sound. This ranges from corresponding with any given city’s visitors bureau to communicating with locals online. 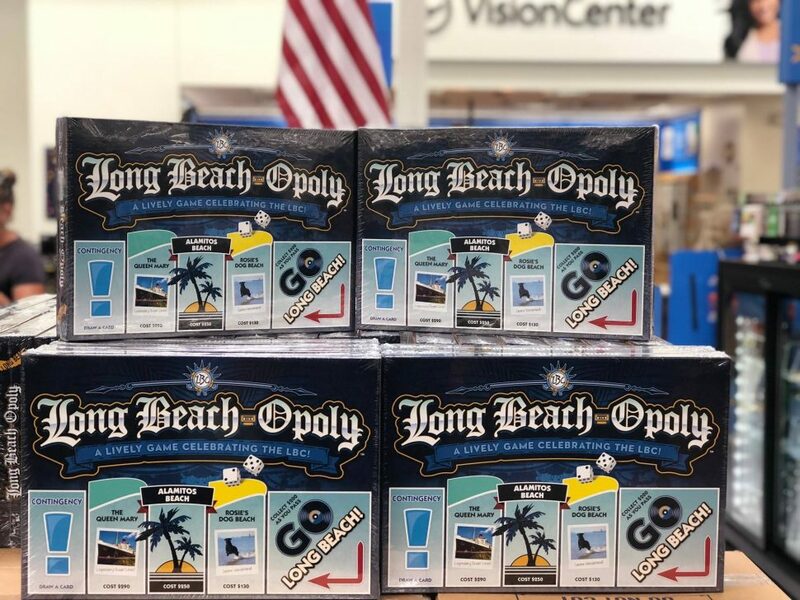 As for Long Beach-Opoly, it will be available for a brief time at both Long Beach Walmart Superstore locations (at 3705 E South St. and at 7250 Carson Blvd.) while supplies last. You can also order it online by clicking here.